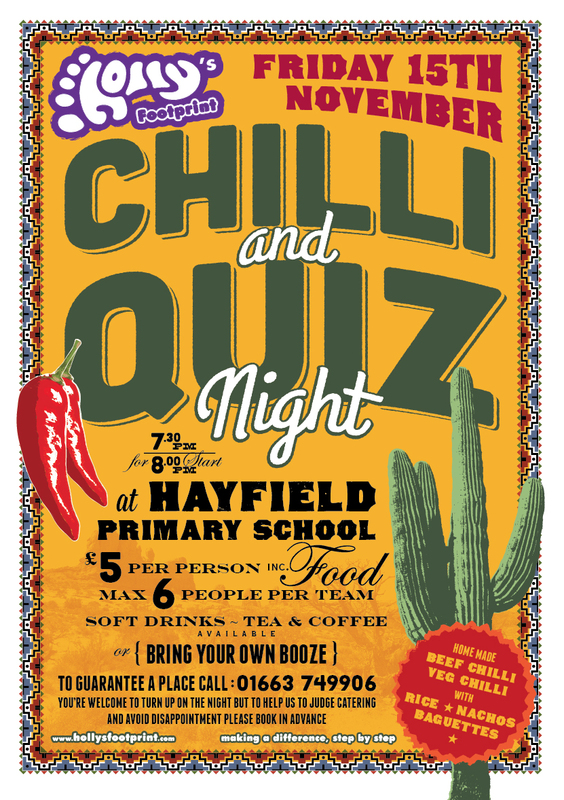 Chilli and Quiz Night – Thank You! | Holly's Footprint..
Home › News › Chilli and Quiz Night – Thank You! 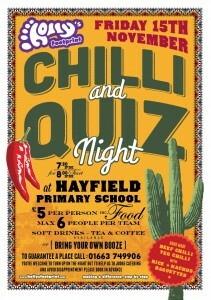 Thank you to everyone who came out in support of our Chilli and Quiz Night last night. Once again, the response from the village and our family and friends was overwhelming – the hall was packed. We hope everyone enjoyed the evening – and that the questions weren’t too hard. So by the very end of the night we managed to raise around £1000 to send to the DEC to help with their efforts for The Philippines. When Debbie and I heard some of the stories of just how much some people have lost out there it really hit home – and it’s a reminder that, although we are still going through a very tough time ourselves, things could be so, so much worse. We heard one story of a woman who had lost 11 members of her family – I simply cannot fathom how that would feel or indeed how you could hope to ‘recover’ from something like that. So hopefully the money everyone contributed last night will help a few people to start the long process of getting their lives back together. We need to say a massive thank you to everyone who helped in the kitchen. So much work went into the cooking, preparing and cleaning and of course in setting up the tables and clearing them away again at the end of the night – amazing people. Thank you to Holly’s friends for helping on the door and serving the food. Of course thank you to Phil Chapman for being a superb quiz master and to the staff at Hayfield School for letting us use their facilities. A big thank you to Debbie’s sister, Sarah, and to Monica for loaning us the industrial sized pots and rice cookers as well as donating the rice and the soft drinks for the evening. Once again it was quite an emotional night for us. We know that Holly would have loved to have been part of it all. Now, does anyone in the Hayfield area need any rice?